Does your child use Proloquo2go on the iPad? Here's a discussion among web friends on the topic. because I like Lite Brite (good for fine motor) and rhymes. doing PECS for about 1 1/2 years before starting Proloqo2go. A friend’s daughter uses an iPad for communication and is AWESOME with it!! or closing the program and playing other apps). But, I'm afraid he will stim on the program and the pictures. and he wasn't focused on communication. I'm wondering if I should stick to PECS because of this. communicate more clearly and asked for an evaluation. and approved him getting one. We have the iPad on loan through Metro schools. but my kid knows how to navigate it more than I do. I truly think it helped his speech and he no longer needs it for communication. He does use it for sight words and spelling words. He's had it almost 2 years. I have memories of the thing saying POPCORN 50 times in a row. I have not seen an iPad. I have seen a DynaVox and similar devices. JUST for manding and maybe for labeling objects. experience sharing words on it. then there are not enough for the child. You do have to start with demands - that's the thing. but one would hope the child's communication level would improve over time. having just the one function. and, IMO, very importantly - it's COOL and socially appropriate! should he or she choose to. plus you can make your own. It's basically like having a HUGE PECS library. Being able to mand is important. to be a happy 4 year old. And, being able to at least communicate on that level is a huge deal. But, I see your point, and that leads me to another question I have. How do you communicate back when your child uses an iPad? J doesn't necessarily understand just verbally. 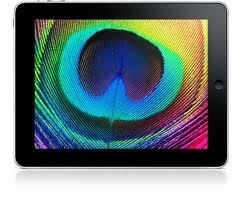 Do you use the iPad to communicate back, picture cards, or just verbally? - you definitely respond to any level of communication, right? He has been able to show us over time in small ways. ABSOLUTELY, being able to mand is important! But that's all the kids were doing! - my kid was in mands for over 2 (i'd say closer to 3) years. He is now in the commenting stage, and it's been fluid and really awesome. but commenting is single words. - when we are driving around or watching tv. i love it.